Rubber Room Ramblings: PLEASE JOIN ME FOR HOLIDAY FUN! 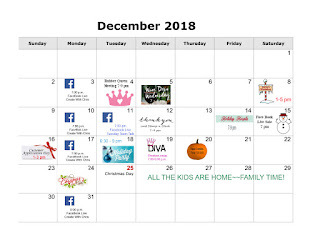 PLEASE JOIN ME FOR HOLIDAY FUN! The busy holiday season is about to start, and that means, I need to have "relaxing, me time" in place so that I can enjoy the season too. I used to get all caught up in "getting it all done" and then I would try to become super woman and make it all happen perfectly for everyone. It did not take long for me to start dreading the holidays. But, no more. Now, I just want to enjoy the season and all the amazingness it brings. I make gifts for those who are special to me, personalize each Christmas card I send, and most importantly, take time to be with friends and share what I love the most: friendships, family, crafting, and sharing time spent together. I hope you can make time to share with me this holiday season and look forward to seeing you in the Rubber Room soon. Here are full descriptions for classes and events. Join me for a little wine and some relaxation while we put together the amazingly beautiful cards in the Timeless Tidings kit, or make cards with the adorable Santa’s Workshop Memories and More Cards. Whether you just need a few more cards, or you need to get them all made, this is the perfect opportunity. Everything will be cut and prepped and ready for you. If your cards are already made, bring them, along with your address book, and get them all ready to be put in the mail. All you have to do is RSVP, bring your own adhesive and come ready to relax. This is going to be the funnest day of the year! You can make tags and bags and gift card holders too! This time of year, it’s all about packaging and presentation. I’ve got you covered when it comes to quick, easy and gorgeous gift wrappings. You will make 2 gift card holders, a dozen gift tags and two medium-sized gift bags. If you need a few more, extras will be available for purchase. Cost of the class is $20 or FREE when you place a minimum $30 order the night of class. Time to get a jump start on those thank you notes you will need once the season is over. Crafting will keep you sane throughout this busy holiday season, so this is your chance to enjoy your sanity and be productive at the same time. There will be cocoa, coffee, cookies and Christmas tunes. You will make 8 cards (2 each of 4 different designs). I will have everything prepped and ready for you. Just RSVP and bring your favorite adhesive. Cost of the class is $20 or FREE when you place a minimum order of $30 the night of class. Tonight is retired club fun! If you were in my First Friday Club, Wacky Wednesday, the Wright Club or Morning Madness, this is your night to come and enjoy your club friends again. You can take a peek at the new Occasions Catalog and the Sale-a-Bration offerings and check out the new Cling stamps. We will make three cards and enjoying some treats. I am so very thankful for all of you, my wonderful customers and friends, and today is the day for me to show my appreciation and thank you for supporting my business and spending time stamping with me. There will be lots of delicious snacks and treats, make and takes, a wonderful raffle with awesome prizes, my BOGO sale, and a photo booth for even more fun. This is a free event for anyone who has placed an order with me in the past year. If you want to place an order this afternoon, you will receive free shipping, as an added thank you from me. RSVP FOR WINE DOWN WEDNESDAY IN THE RUBBER ROOM! SERIOUSLY, DO NOT MISS THIS SALE! KCUPS AND CARDS BUFFET SUNDAY! CSI RETREAT DATE IS SET! ONLINE EXTRAVAGANZA IS ABOUT TO HAPPEN! COMING SOON TO A MAILBOX NEAR YOU! HAVE YOU BEEN NAUGHTY OR NICE? GET THEM BEFORE THEY DISAPPEAR! SU! ACHIEVERS LIST IS HERE! STAMPIN' UP! IS CELEBRATING THE BIG THREE-OH! !